Matthew Apgar - mapgar@shawmedia.com Head director Jennifer Lindsay (right) helps fix a wig worn by Caitlyn Gooden, playing Ursula, during a performance of Little Mermaid Jr. put on by Marlowe Middle School students at Huntley High School on Thursday, March 15, 2018 in Huntley. Tickets are still for sale at the door for their 7 p.m. Friday and Saturday performances, with an additional performance at 3 p.m. on Saturday. 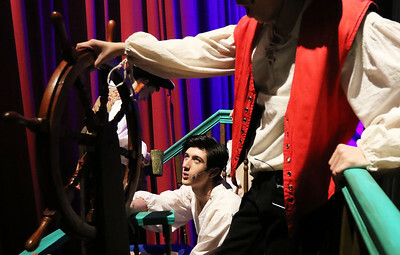 Matthew Apgar - mapgar@shawmedia.com Drew Tafur (right) and Eli Gallagher play with the ship's wheel before the curtain rises during a performance of Little Mermaid Jr. put on by Marlowe Middle School students at Huntley High School on Thursday, March 15, 2018 in Huntley. Tickets are still for sale at the door for their 7 p.m. Friday and Saturday performances, with an additional performance at 3 p.m. on Saturday. Matthew Apgar - mapgar@shawmedia.com Kendall Elrod, portraying the crab Sebastian, leans back in laughter in the dressing room prior to a performance of Little Mermaid Jr. put on by Marlowe Middle School students at Huntley High School on Thursday, March 15, 2018 in Huntley. Tickets are still for sale at the door for their 7 p.m. Friday and Saturday performances, with an additional performance at 3 p.m. on Saturday. Matthew Apgar - mapgar@shawmedia.com Kaitlyn Ziebell, dressed as Ariel, looks up and laughs in the dressing room prior to a performance of Little Mermaid Jr. put on by Marlowe Middle School students at Huntley High School on Thursday, March 15, 2018 in Huntley. Tickets are still for sale at the door for their 7 p.m. Friday and Saturday performances, with an additional performance at 3 p.m. on Saturday. 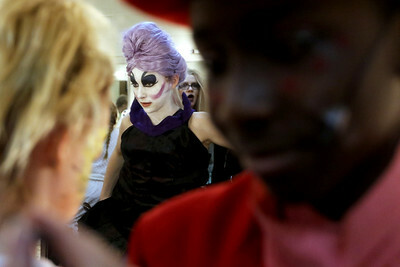 Matthew Apgar - mapgar@shawmedia.com Dyllan Cash (left) and Kendall Gallagher put on their makeup to perform as jellyfish prior to a performance of Little Mermaid Jr. put on by Marlowe Middle School students at Huntley High School on Thursday, March 15, 2018 in Huntley. Tickets are still for sale at the door for their 7 p.m. Friday and Saturday performances, with an additional performance at 3 p.m. on Saturday. 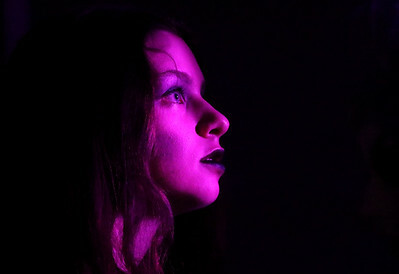 Matthew Apgar - mapgar@shawmedia.com Sarah Krelle is illuminated by stage lights as she watches backstage during a performance of Little Mermaid Jr. put on by Marlowe Middle School students at Huntley High School on Thursday, March 15, 2018 in Huntley. Tickets are still for sale at the door for their 7 p.m. Friday and Saturday performances, with an additional performance at 3 p.m. on Saturday. Matthew Apgar - mapgar@shawmedia.com Mackenzie Vanek (left) and twin sister Keegan wait in their starfish costumes with other cast members before a performance of Little Mermaid Jr. put on by Marlowe Middle School students at Huntley High School on Thursday, March 15, 2018 in Huntley. Tickets are still for sale at the door for their 7 p.m. Friday and Saturday performances, with an additional performance at 3 p.m. on Saturday. 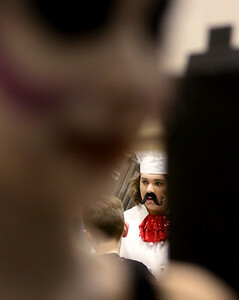 Matthew Apgar - mapgar@shawmedia.com Chef Louis, played by Jon Garcia (back), and Ursula, played by Caitlyn Gooden (front), get into costume before a performance of Little Mermaid Jr. put on by Marlowe Middle School students at Huntley High School on Thursday, March 15, 2018 in Huntley. Tickets are still for sale at the door for their 7 p.m. Friday and Saturday performances, with an additional performance at 3 p.m. on Saturday. 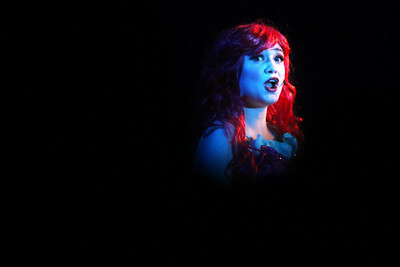 Matthew Apgar - mapgar@shawmedia.com Kaitlyn Ziebell, performing as Ariel, sings "Under The Sea" during a performance of Little Mermaid Jr. put on by Marlowe Middle School students at Huntley High School on Thursday, March 15, 2018 in Huntley. Tickets are still for sale at the door for their 7 p.m. Friday and Saturday performances, with an additional performance at 3 p.m. on Saturday. 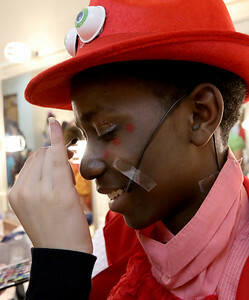 Matthew Apgar - mapgar@shawmedia.com Cast members filter into the backstage area to prepare for a performance of Little Mermaid Jr. put on by Marlowe Middle School students at Huntley High School on Thursday, March 15, 2018 in Huntley. Tickets are still for sale at the door for their 7 p.m. Friday and Saturday performances, with an additional performance at 3 p.m. on Saturday. 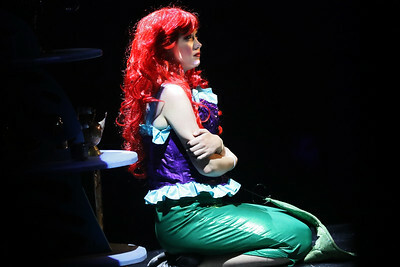 Matthew Apgar - mapgar@shawmedia.com Kaitlyn Ziebell, performing as Ariel, finishes up a scene during a performance of Little Mermaid Jr. put on by Marlowe Middle School students at Huntley High School on Thursday, March 15, 2018 in Huntley. Tickets are still for sale at the door for their 7 p.m. Friday and Saturday performances, with an additional performance at 3 p.m. on Saturday. 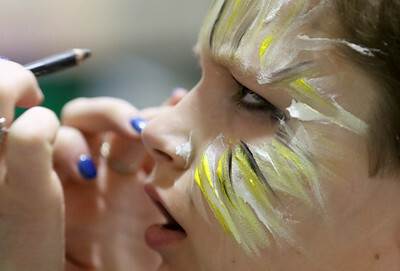 Matthew Apgar - mapgar@shawmedia.com Logan Slad has help with his seagull makeup before a performance of Little Mermaid Jr. put on by Marlowe Middle School students at Huntley High School on Thursday, March 15, 2018 in Huntley. Tickets are still for sale at the door for their 7 p.m. Friday and Saturday performances, with an additional performance at 3 p.m. on Saturday. Matthew Apgar - mapgar@shawmedia.com Grace McNamara helps apply makeup to Sebastian, played by Kendall Elrod, in the dressing room before a performance of Little Mermaid Jr. put on by Marlowe Middle School at Huntley High School on Thursday, March 15, 2018 in Huntley. Tickets are still for sale at the door for their 7 p.m. Friday and Saturday performances, with an additional performance at 3 p.m. on Saturday. 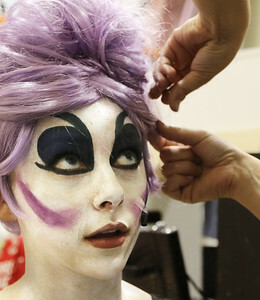 Matthew Apgar - mapgar@shawmedia.com Caitlyn Gooden applies her eyelashes to her Ursula persona before a performance of Little Mermaid Jr. put on by Marlowe Middle School students at Huntley High School on Thursday, March 15, 2018 in Huntley. Tickets are still for sale at the door for their 7 p.m. Friday and Saturday performances, with an additional performance at 3 p.m. on Saturday. 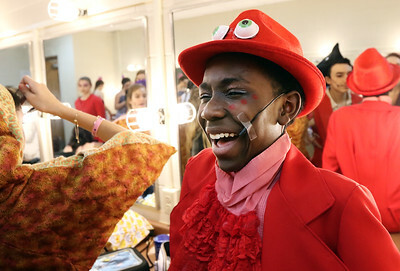 Matthew Apgar - mapgar@shawmedia.com Caitlyn Gooden fixes her Ursula costume in the dressing room before a performance of Little Mermaid Jr. put on by Marlowe Middle School students at Huntley High School on Thursday, March 15, 2018 in Huntley. Tickets are still for sale at the door for their 7 p.m. Friday and Saturday performances, with an additional performance at 3 p.m. on Saturday. 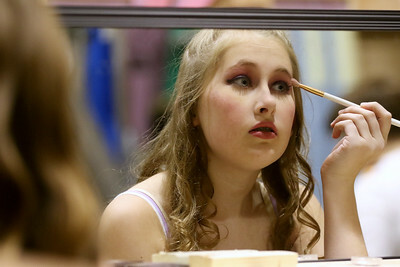 Matthew Apgar - mapgar@shawmedia.com Nikki Darnall checks the mirror as she puts on her jellyfish makeup before a performance of Little Mermaid Jr. put on by Marlowe Middle School students at Huntley High School on Thursday, March 15, 2018 in Huntley. Tickets are still for sale at the door for their 7 p.m. Friday and Saturday performances, with an additional performance at 3 p.m. on Saturday. 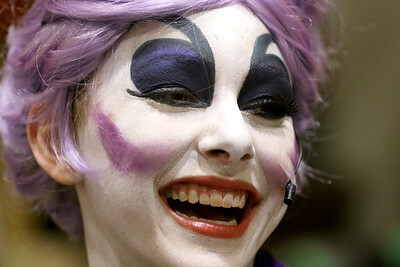 Matthew Apgar - mapgar@shawmedia.com Caitlyn Gooden, dressed as Ursula, laughs with friends in the dressing room before a performance of Little Mermaid Jr. put on by Marlowe Middle School students at Huntley High School on Thursday, March 15, 2018 in Huntley. Tickets are still for sale at the door for their 7 p.m. Friday and Saturday performances, with an additional performance at 3 p.m. on Saturday. 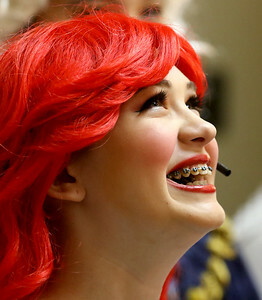 Kaitlyn Ziebell, dressed as Ariel, looks up and laughs in the dressing room prior to a performance of Little Mermaid Jr. put on by Marlowe Middle School students at Huntley High School on Thursday, March 15, 2018 in Huntley. Tickets are still for sale at the door for their 7 p.m. Friday and Saturday performances, with an additional performance at 3 p.m. on Saturday.